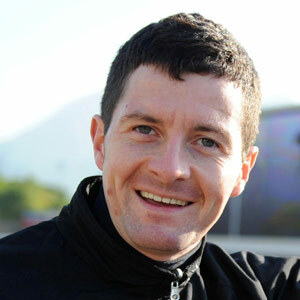 Formerly a key member of Aidan O’Brien’s team for more than a decade, Colm O’Donoghue is now No 1 rider for Jessie Harrington and his decision to move from Ballydoyle has been gloriously vindicated. For instance, at Royal Ascot this summer he guided Alpha Centauri to a runaway triumph in the Coronation Stakes just 24 hours after finishing a close third in the Gold Cup aboard Torcedor. Punters who have followed him have also been well rewarded on occasions, especially in the Investec Oaks of 2015 when he guided the O’Brien-trained Qualify to a shock victory at 50-1. His Group 1 victories before that had included the Phoenix Stakes at The Curragh in 2002 when Aidan O’Brien ran four horses and O’Donoghue was on the least fancied of the quartet, Spartacus, yet prevailed by half a length; the French 2000 Guineas (Poule d’Essai des Poulains) at Longchamp in 2007 when he again rode the least fancied of an O’Brien quartet, Astronomer Royal, to victory; the Criterium International at Saint-Cloud in Paris in 2009 on Jan Vermeer, Aidan O’Brien’s second string; and the Canadian International at Woodbine in 2010 when he proved he is well up to being entrusted with his stable’s main contenders, winning on Joshua Tree, O’Brien’s only runner in the £1.2m contest. His best victory to date came at the Curragh in June 2011, when he partnered Treasure Beach to victory in the Irish Derby, a race in which O’Brien trained the first three horses home. He also won the Grade 1 Secretariat in the USA on him. He nearly made a big early impact in the QIPCO British Champions Series on board the longest-priced of O’Brien’s three runners in the 2011 QIPCO 1000 Guineas, Together. Having held off the challenge of Maqaasid, he looked set for victory, only for Frankie Dettori and Blue Bunting to storm past him close home. He suffered an agonisingly similar fate in the Investec Derby, leading over a furlong out on Treasure Beach and looking sure to win, before being nailed just before the line by the late run of Pour Moi. After a quiet period, he won the Irish Oaks on board Bracelet in 2014 and the following year came that perfectly-timed run with Qualify to land the Oaks. O’Donoghue added to his 2015 QIPCO British Champions Series tally when partnering Bondi Beach to a controversial victory in the St Leger. Having passed the post in second behind Simple Verse, the O’Brien colt was awarded the race in the stewards’ room. However, 11 days later, the placings were reverted back to the original result with Simple Verse being handed the race following a successful appeal by connections.